Overall comment: Simple & cosy cafe with a substantial variety of food, but the prices are quite steep for the portion & taste of dish served. Service was very slow when I was there 'cause they forgot my order...sigh. I hope it's a one-off thing only. Halal: Pork-free only. No halal certification obtained since this cafe serves beer. One of the latest eateries in SS2 PJ is Square Dotz Cafe on SS2/66. I happen to stumble upon this place early this month when I went for a haircut in SS2. Since I had to grab dinner before I head over to church, I decided to just try out this place, which is across the road from my hair salon. Substantial items on the menu, but hey, there are typos! Very simple & some parts still look very much like you're in a house. There's a slight feeling that I'm actually dining in someone's house where I don't even know the owner! Kinda weird...haha...thanks to the youths who were chilling out at the couch doing their homework...etc. I reckon they're the owner's children/family members. The 1st impression that I have is that "it doesn't look very appetizing". Colour combination isn't very attractive & "colours/presentation" is something that I'm quite focused when it comes to presentation of food. 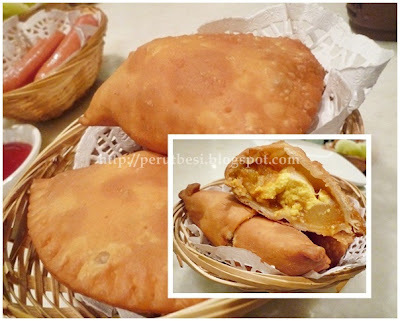 The look-and-feel of a dish does affect a person's appetite, I'm very sure! Taste-wise, it was quite homey. I wish there was more "punch" to the gravy on the chicken. It's a very basic onion-chicken-sauce over a mildly roasted chicken thigh. There's a great deal of room for improvement for the oven-baked chicken as I feel that the chicken skin could be slightly more crispy & "roasted". Oh yes, the chicken is 100% frozen-chicken as the meat wasn't springy & "fresh from the market". The mushrooms were quite disappointing as well. There were just 2 tiny mushrooms! :( Not nicely sauteed some more...sobs. The mash was alright - it's not really smooth like a pre-packed nor was it chunky like a 100% home-made mashed potatoes. I could still accept it although it's not "wow" nor "I-want-more". Beans & carrots were fine - can't really go wrong. It's properly cooked. Mum had RM80.00 worth of cash vouchers for a meal at Hotel Sri Petaling. It's our first time there & I seriously didn't have high expectations on a 3-star hotel's restaurant. It's not some famous hotel down town, rather it's a humble hotel tucked amidst some residential/commercial square. The hotel is quite small, with just 1 coffee house/restaurant to serve its customers. When we arrived there, the place was actually empty. It's probably expected cos it was around 11am & breakfast period would have been over. Moreover, there are loads of coffeeshops & restaurants around the hotel area that serves pretty good variety of local food as well. Hmm...challenging for this hotel's restaurant to really stand out among the good local restaurants. Their menu was rather simple, clean, & straight-forward. All the prices were stated clearly as well, but it just lacks information on how many pieces are served per serving. 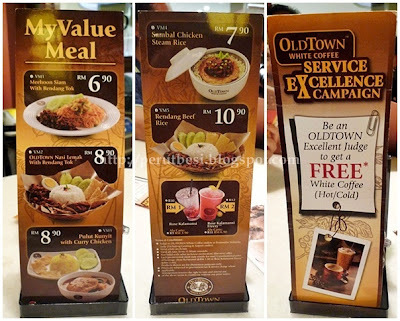 Perhaps this is something for Hotel Sri Petaling to consider; equipping their menu with adequate information for their customers. It's certainly not the best, but at least it's edible. The seafood were alright...not very fresh, yet not bad as well. Lacking in the coconut milk flavour in the rice, but overall, it's not too bad for a hotel's coffee house. You'll have to eat it while it's hot/warm, else the skin will be rubbery! 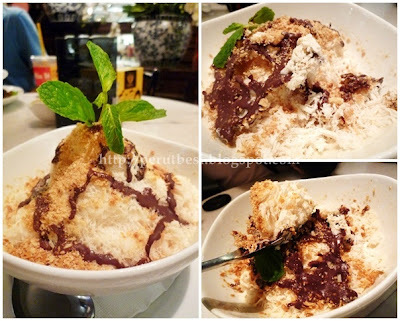 Since we had RM80.00 to spend, we concluded our meal with some ice-cream. Overall, it was a pleasant dining experience, albeit the slower service & the slight hiccups here & there. 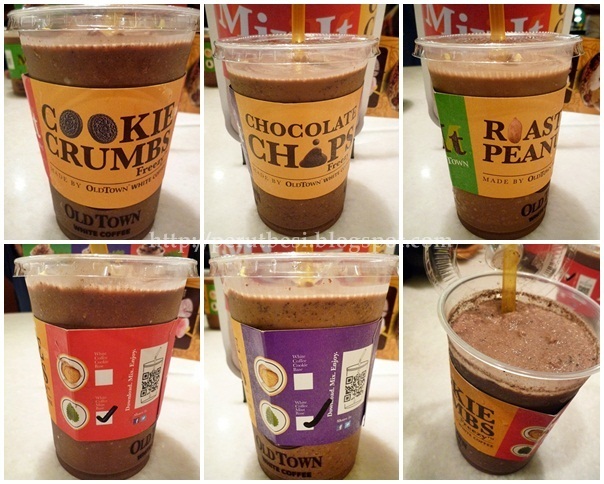 Old Town White Coffee Kopitiam has a new range of ice-blended, called the Mix It. For RM7.90, you'll get to enjoy a cup of refreshing & flavourful ice-blended coffee along with your meal at this cosy, yet casual & well-known kopitiam chain. As I'm a fan of mint & cookies, I opted for the Old Town White Coffee Mint Base + Cookies Crumbs! It was quite yummy :) The coffee taste was nicely blended with the cookies, so the drink was quite delicious; it was refreshing as well since there's mint! The ice was blended quite fine, so it kinda melts slightly faster than the ones from Starbucks/specialized coffee-outlets. It looks good, but I personally feel that it's a tad costly for garlic butter toast. Nevertheless, I think it tasted good since no one made any complaints about it. For those who are keen on having snacks, this is a nice, crunchy snack. Two of our blogger friends are sausage-addicts! Hahaha...they claim that Old Town Kopitiam serves quite nicely done sausages for munchies. This version of nasi lemak comes with sambal sotong + ayam rendang + all the classic condiments. It's quite nice, I've to say. At least the nasi lemak does have the coconut milk taste! Nothing much to shout about. I still prefer the ones I get from coffeeshops outside :P Somehow this one lacks "umphh..."! Old Town Kopitiam may not be the best place for desserts, but they sure have something for everyone at all times! Snow ice is something you'll find more commonly at Taiwanese dessert shops. No doubt those are far better than these, but we're quite forgiving as long as Old Town continues to serve good coffee & decent food. What's your favourite Mix It?